Fermented foods and drinks are one of the fastest growing food trends in 2019 and that is for a good reason. As more becomes known how our gut health affects our overall health and functioning as a second brain in our bodies, this natural and healthy food preservation method is not only a popular choice for plant-based and flexitarian diets but for anyone trying to eat more healthy. 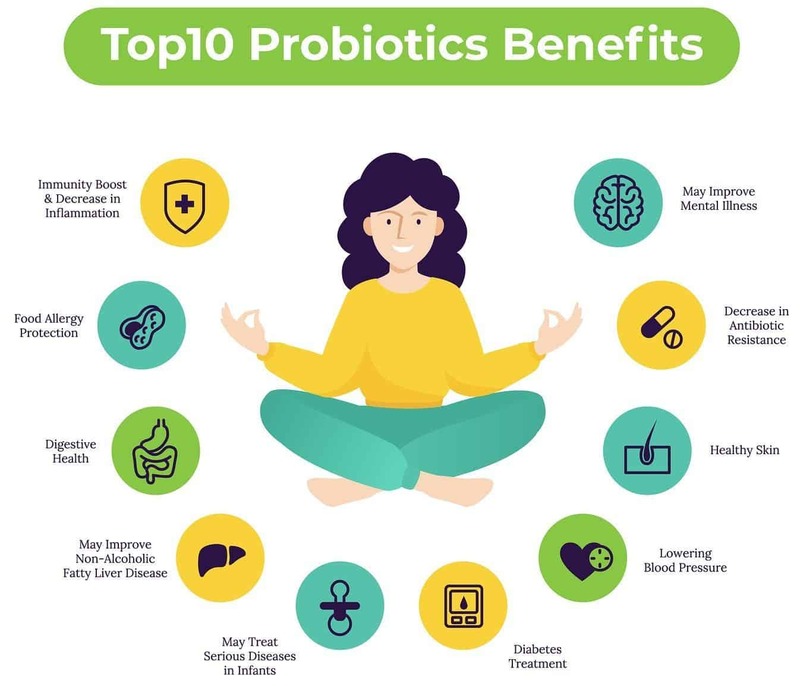 These 8 popular probiotic foods below offer numerous health benefits that range for the better digestion, gut and heart health to improved mood and beyond. 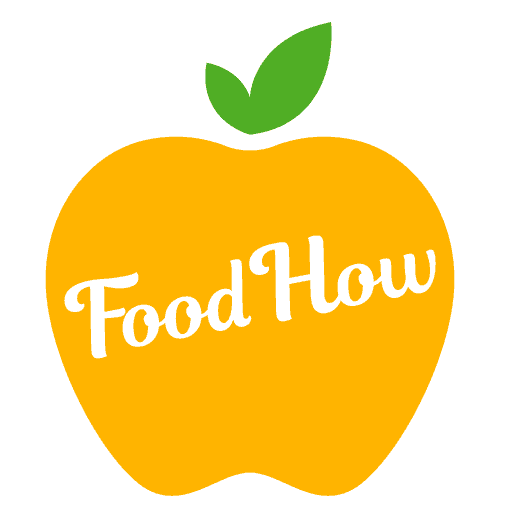 From kefir to sauerkraut, tempeh to kombucha, the world of fermented food is varied and rich. So give your digestive system a good old burst of healthy microbes whit these delicious probiotic foods below. 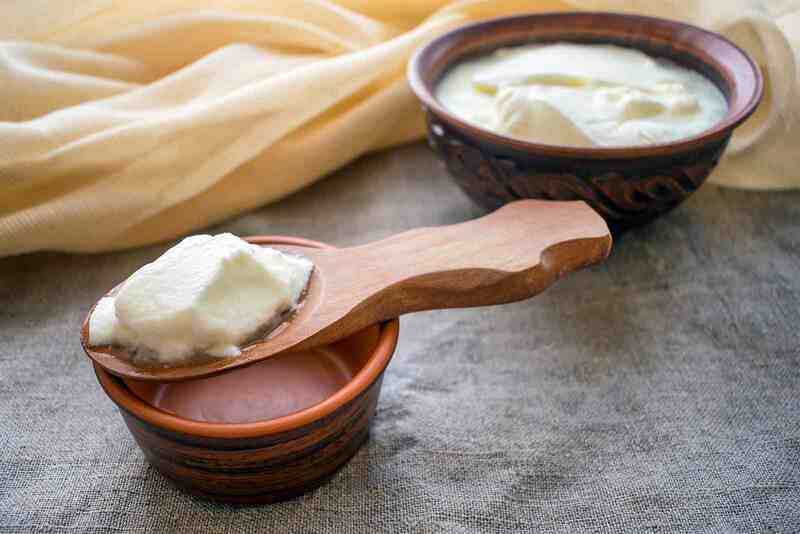 Probiotics can be found naturally in fermented foods such as yogurt, kefir, cottage cheese and sauerkraut, and our ancestors were consuming #fermented #foods as far back as 10,000 years ago. The practice of fermenting foods has been around for ages. Back in the days before refrigeration and modern food storage, people of days gone by had to find ways to preserve food. Their processes of fermentation created beneficial amino acids and vitamins, making them a rich source of probiotics. Fermentation is a process that occurs when bacteria or yeast turn the sugars found naturally in foods into other compounds such as organic acids or alcohol, all without the use of oxygen while creating energy for themselves. It’s how beer and wine are made (those microbes convert sugar to alcohol), though the microbes that make lactic acid are responsible for our tangy fermented food favourites like sauerkraut, kimchi, and yoghurt for example. Different foods and beverages are created by the different types of species of bacteria and yeast. In the olden days, they allowed fermentation to happen naturally. Nowadays, automation is used for speedier production as well as to keep the end results unified in texture and flavor composition. Still, some people go the old-fashioned route to ferment. In Korea, many people make their kimchi the traditional way of fermenting the spicy cabbage mixture underground during the winter months. Naturally fermented foods help strengthen your gut microbiome by giving your body the healthy probiotics it needs. However, be aware that not all fermented foods are the right choice. You want foods that contain live cultures and multiple strains of them. When it comes to pickled foods, always check to see if it was naturally fermented or if it was pickled in vinegar. Those that were pickled in vinegar will not give you the probiotics you need. The labels will also tell you if it is naturally fermented. Once opened, if the jar bubbles up, it’s a sign that live organisms are present and brimming with probiotic power for you. FERMENTED AND PICKLED ARE TWO DIFFERENT THINGS: … Unlike fermenting, pickling merely means exposing foods to vinegar or brine, which doesn’t facilitate fermenting as such. When eating fermented foods to get the benefits of probiotics, it’s important to remember that you have to make this a daily habit. You can’t just eat yogurt here and there or take one bite of sauerkraut a week. Each day, you must eat something fermented to get that beneficial bacteria working for you in your gut, as well as matching it with prebiotic foods to maximize your health potential. Here are some of the best probiotic foods you should choose to eat on a regular basis. You don’t need to wait for a hot dog or sausage to enjoy sauerkraut. Because it’s made from cabbage, it has plenty of fiber plus loads of vitamins like C, B, and K. Avoid sauerkraut that comes in a can and make sure to read the labels to choose an unpasteurized brand that contains no added sugar to get the best benefits from it. When buying sauerkraut there are few things you need to watch out for. Quite often, commercially fermented/pickled items like sauerkraut or pickles that you can get in big supermarkets are made with vinegar or with some other.methods that decreases the level of probiotics in them. Also, artificial colouring and preservatives are often added to the products that can further minimize the level of live bacteria that is actually found in sauerkraut. If you are struggling to find sauerkraut that is naturally fermented without artificial preservatives and colouring then here is one that I have been using. The most common form of kimchi is made with cabbage, though in Korea, many other vegetables can be used too from cucumbers to radishes. Full of fiber and vitamins K and B2, it has many different probiotic strains. You can make it yourself easily but if you’d rather skip the work, look for ones that are free from added sugar. 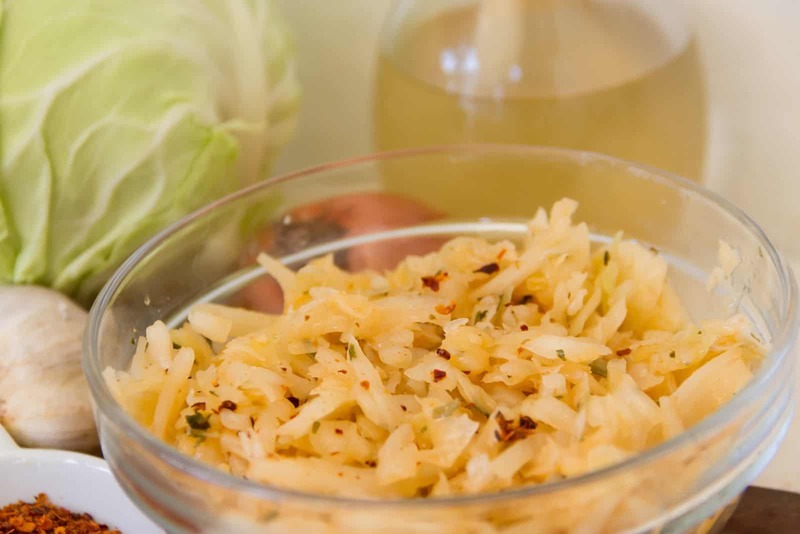 Adding fermented foods to your meals once or twice a day can help fortify the gut. Easy ways to incorporate #fermented foods into your #nutrition include mixing them into salads, enjoying them as snacks, or even adding small amounts to your smoothies. 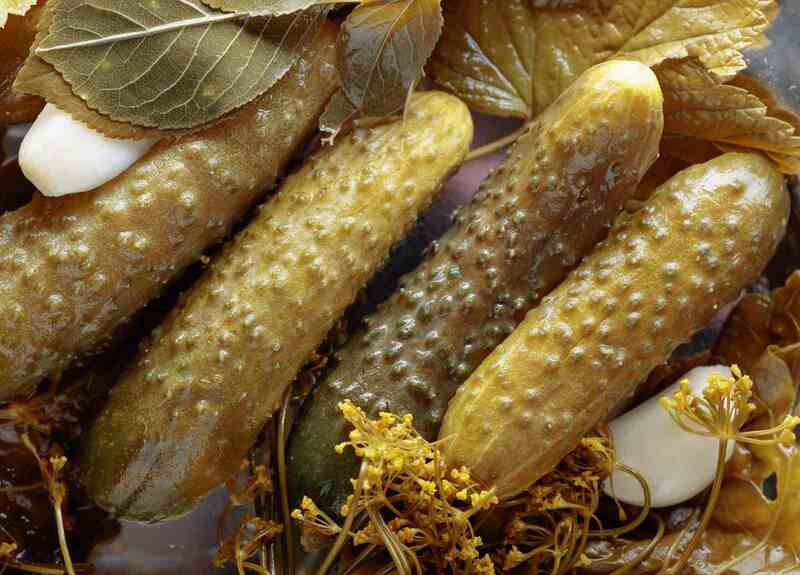 As mentioned before, pickles can be tricky because much of what you see in the supermarket is pickled with vinegar. When you use vinegar in fermented foods, it destroys a lot of the good bacteria. While these pickled foods could still offer a little bit of probiotic benefit, I strongly recommend eating traditionally fermented pickles to increase the variety of good bacteria in your digestive system and gut microbiome. Look for brands that use a brine made of salt and water. Labels are always very telling when shopping for probiotic foods. Choose the kinds of pickles with probiotics and you’ll always have a deliciously healthy snack that really benefits your health. These naturally fermented probiotic pickles from Amazon here are really the best choice when it comes to properly fermented pickles. They actually cool-ship the pickles with the ice pack that I really like. Kefir has suddenly gained loads of popularity due to its probiotic powers. It tastes like yogurt but isn’t as thick which is why it’s been a prime choice for smoothie lovers. It blends right in seamlessly. If you love to start your day with a morning smoothie, get kefir and make your morning powered by probiotics. Yogurt has been one of the most popular probiotic foods for years. It’s a healthy choice for breakfast too as long as there are no added sugars. Choose your yogurt brands wisely to make sure you find ones with live active cultures otherwise it won’t be aiding your gut health. 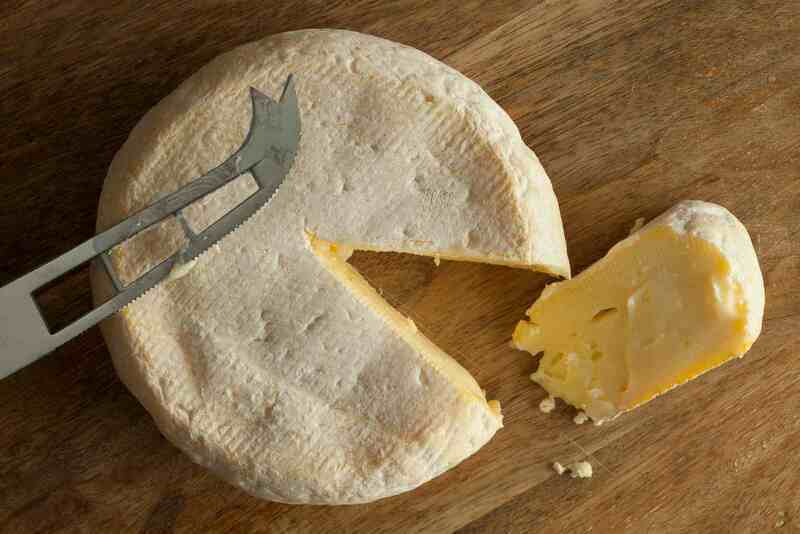 Made from unpasteurized milk, raw-milk cheeses come in many forms from firm to creamy, or even crumbly. These are the ones made by artisans on those small farms with single herds of cows, goats, or sheep. Not only do these intricately-made raw-milk cheeses taste better anyway, but they also give you the probiotics you need. Some to try are Maytag blue, Fontina, Roquefort, and Parmigiano-Reggiano. Again, reading labels to ensure they’re raw is a good idea. 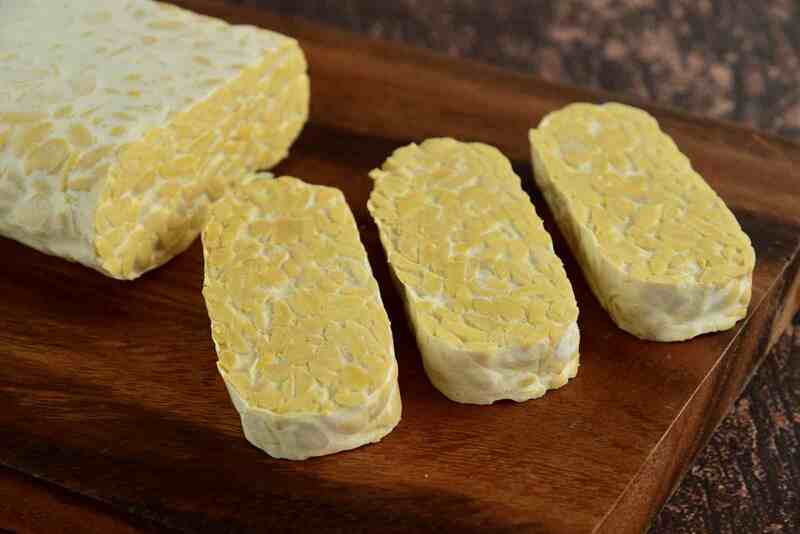 This soy-fermented cake is a top choice for vegans and vegetarians. It helps your body absorb more minerals and vitamin B12. With soy-based products though, it should be eaten in moderation because too much soy can be a bad thing. 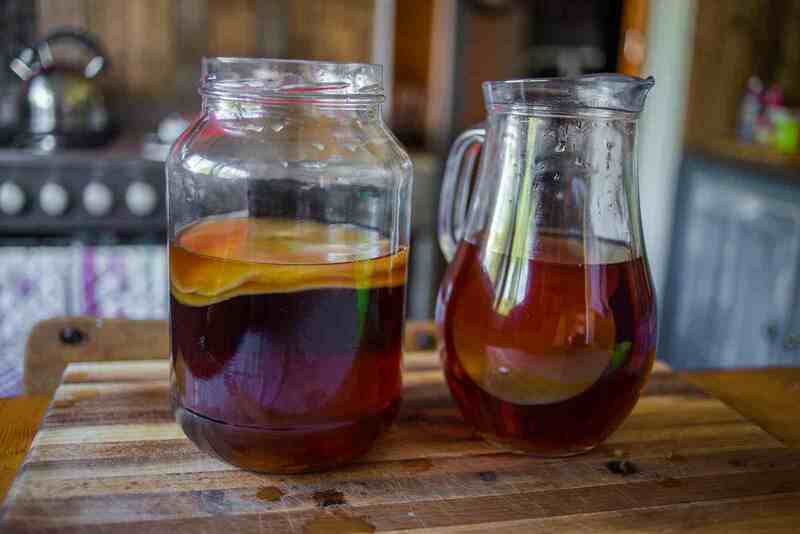 This fermented sweet tea made with yeast and bacteria is a great probiotic choice for when you’re on the go. Look for brands that produce it in smaller batches though as the commercial stuff you’re seeing everywhere on the shelves of supermarkets is loaded with sugar, plus the added carbonation can lead to bloating. By adding these probiotic foods to your diet, you’ll help prime your gut for better health, and better health for your whole body too. Get this easy and fun kombucha starter kit here that comes with kombucha cultures and start making your own delicious, healthy and natural kombucha at home that will keep your gut happy and save you so much money. Fermented foods provide your body with live #bacteria. These little workers help maintain appropriate pH in the digestive system, supporting release of correct #enzymes and making it much easier for the body to extract, process and absorb the nutrients. Well at least I like two things listed here! Haha I am not a big fan of fermented foods but I do like yogurt and pickles. I guess I will have to eat more of those two items to make sure I get enough of the benefits. I do like cheese but real “natural” cheese is hard to come by where I am at. This one is so interesting. I know that I need to eat more fermented foods for gut health, but I just find so many of them icky. After some brief dalliances with kombucha, kimchi and sauerkraut (icky!) I was beginning to despair I wouldn’t find a fermented food I liked that wasn’t pickles. I think I’m gonna try kefir, next. Hmmmm. Did you know you can make your own kefir? 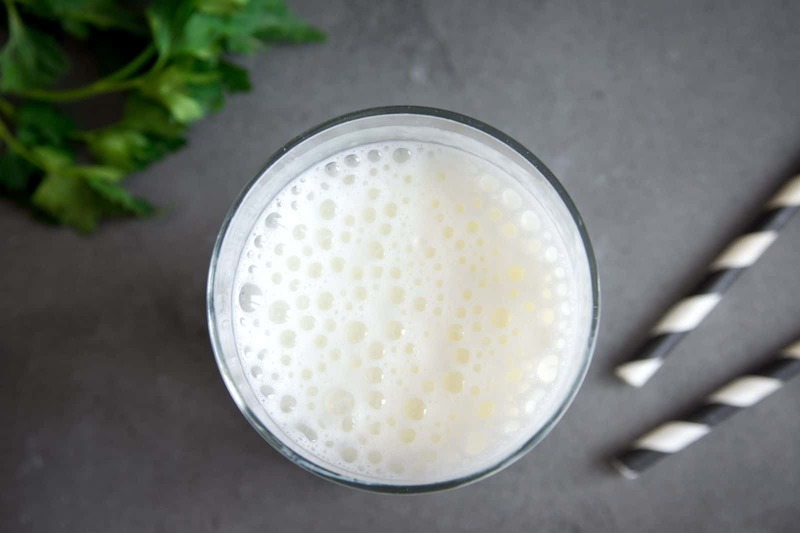 It’s basically just adding kefir grains – which you can get on Amazon – to whole milk, and letting it ferment for a few days. I can’t stand foods like sauerkraut or kimchi, but kefir just tastes like drinking yogurt, and if you make it yourself you can control how much sugar and what flavors you get! Fellow kefir evangelist here! Savory fermented foods and I just don’t get along whatsoever, and even kombucha is hard for me to swallow (pun entirely intended, haha!). But sweet fermented foods like kefir are where it’s at, haha. I second trying to make it – I like to sweeten mine with natural sugar substitutes like pure organic stevia, so I’m not getting as much sugar. Unsweetened strawberry kefir is great alone – or you can put it in a smoothie and it’s amazing.